The movie industry is changing. Are these dark days for theaters in small towns? Are there dark days for smaller independent theaters as the movie industry goes digital? Columbus movie theaters include mostly chains…The big changes in the movie business could make small town movie theaters a thing of the past. A video from WBNS 10 TV News tells the story of two small independent theaters, Studio 35 in Clintonville and a Circleville, Ohio theater, The Movie House. 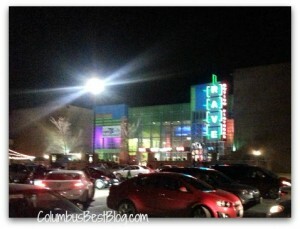 The video tells what the movie theater in Clintonville was able to do to remain viable in 2013. Each new digital movie projector costs $80,000. I don’t go to all that many movies but this makes me glad to live in a city where I can go to a first run movie when I want to. Did you realize the small town theater might be a thing of the past in 2014? Studio 35 in Clintonville is one of those smaller theaters you’d wonder about if you heard a theater need to invest in equipment to show digital films. Are Gateway Film Center and Arena Grand Theatre independent? They are both new, multi-screen theaters with lots of bells and whistles. Beer, bistros and other events. Gateway Film Center and the Arena Grand Theatre in popular urban Columbus neighborhoods both seem to have enough traffic. 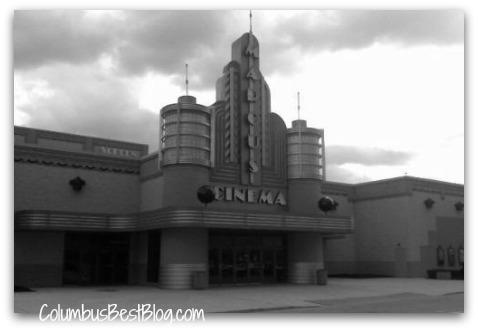 The top image is the Marcus Cinema at Crosswoods in the Worthington area built in the early 1990s. Next time, actually write something worth reading. Hey Jenna, thanks for stopping by. I guess thanks to for your honest critique of how this post does NOT meet your needs. I am sorry I was NOT able to please you. You probably NEED to just move along and read someplace else though because I do NOT have the time to do the research you need me to do for your reading pleasure. Sorry to let you down!